Rachel is a physiotherapist and researcher. She has a strong interest research and clinical interest in optimising motor learning and participation, as well as prevention of the secondary consequences of physical disability. Rachel works as a physiotherapist coordinating bike skills training programs for children young people with disabilities at the Victorian Paediatric Rehabilitation Service at Monash Children’s Hospital and is a National level classifier for para-cycling. 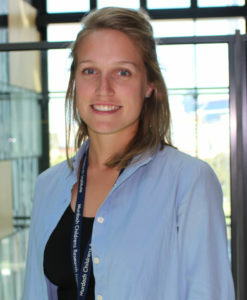 Rachel is undertaking her PhD at the University of Melbourne. Her thesis includes a systematic review and multi-site randomised controlled trial of a novel motor learning driven approach to training bike skills in children with cerebral palsy. Rachel also has a Master of Public Health and Tropical Medicine and is a research associate with Centre of Research Excellence in Cerebral Palsy – Hip Surveillance Project. She has presented her work at international and national conferences and published in peer-reviewed journals.